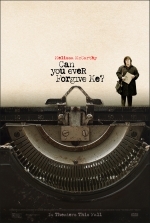 Film Screening: Can You Ever Forgive Me? Enjoy a screening of one of Hollywood's newest DVD releases -- Can You Ever Forgive Me?, a comedic drama starring Melissa McCarthy. The film received 3 Academy Award nominations, including Best Actress. When Lee Israel falls out of step with current tastes, she turns her art form to deception. Rated R. 106 minutes. Doors will open at 12pm. Candy & water will be served. A $1 donation is suggested. Co-sponsored by the Friends of the Tewksbury Public Library and Tewksbury Lions Club.